Summary: The futuristic tale unfolds in a Great Britain that's a fascist state. A freedom fighter known as V uses terrorist tactics to fight the oppressive society. He rescues a young woman from the secret police, and she becomes his unlikely ally. Let us start with the context. 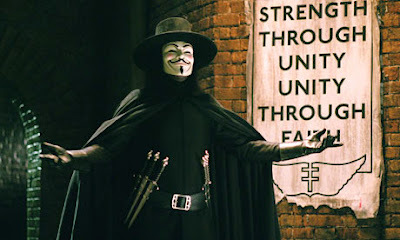 Quite a while ago, somebody on a Facebook group had posted a not-so-unusual query about which is better, the 1988 serialized graphic novel “V for Vendetta” written by Alan Moore (and illustrated by David Lloyd) or the 2005 film adaptation of the same by James McTeigue. Given the sheer amount of time available to me, I set out to find the answer. Now having experienced both, I think I have a lot that can be said about each of them individually, but I would rather stick to doing a comparison. First of all, let me confess that I almost always prefer the source material to an adaptation. That being said I was almost prepared to pass the 2005 movie after I had read the original comic. It was fantastic according to me, really mature, a dark amalgamation of emotions and philosophy. Not really descriptive as to the scenarios being portrayed, but, since it was serialized, you should not expect to know everything about a particular topic in a single issue. There were some sequences in the comic which I thought could never be portrayed on-screen, and fortunately no attempts were made (For example, the Leader’s conversations with “Fate”). It is truly a work of genius as to how a seemingly irrelevant side plot becomes the central theme for the conclusion. But, there was something that stuck in my mind and made me doubt my own belief. It was the author’s note. He had used nouns like naiveté, inexperience and clumsiness to describe himself, and after having watched the movie, I totally agree. The movie is an exemplary piece of cinema, the one which shows how the creativity in making a movie is more than just leaving out useless parts of its source material. Everything about this movie is different in appearance yet same as well as amplified in spirit. And, it exactly is what was required. When it is taken into context that the movie was being made almost after 20 years after the comic was published and was depicting a time 20 years in the future, we all agree some modifications were required in the look and feel as well as the plot. The action sequences, though not many are impressive, only form a small part of what you can take home with you after watching the movie. There is a commendable use of imagery and symbolism and metaphors as well as the symmetrical actions of many of the movie’s main characters (such as, obviously, V and Evey). The movie's finale is more breath-taking and once again rides high on a brilliant improvisation of the source material. All the characters in the movie have their own set of witty dialogues (I personally really liked it when Finch’s assistant cheekily remarked about a person’s act of suicide as “[He] gave his Berretta a b*****b”). And, one special note I would like to make about Natalie Portman. Some time back after watching “Black Swan,” I had read a review on IMDb which stated that Natalie’s bad acting added to the mental instability and awkwardness of her character in the movie. It can thus be concluded that she is best suited to play characters which exude darker and bluer shades of human emotions. After watching her in V for Vendetta, I can more than agree! Although, there are some places where her acting is really good (The way she says “Are you, like, a crazy person” really got me). Now, coming to the comparison. I found the comic to be more descriptive about the structure of the fascist regime, and its modus operandi and exploits. I must say that the graphic novel is severely darker and much more sophisticated than the movie. There is a psychological focus on each of the characters, and that is what guides it ultimately towards its conclusion. At the same time, a reading of the novel will help you in understanding a lot of things in the movie, like why are the plain-cloth cops called “Fingermen,” and what really happens at Larkhill, and how V manages to get under the skin of the British Government. The movie is a pepped-up version of the novel. In the movie, the focus is more on the mentality of the masses. I really appreciate the changes they have made in Gordon Dietrich’s character. He is no longer an indifferent part of the machinery. Also, most of V’s dialogues have been changed—all for the better. The sequence of the events has also been changed, but again it adds even more meaning to the plot. V has been made more human. 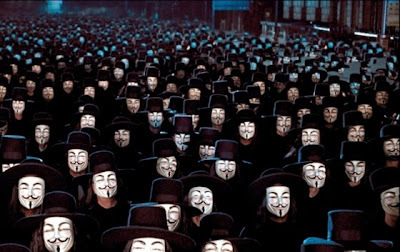 Although, in the comic, the human nature of V was merely implied, in the movie, it has been made really clear. In the comic, V is truly a symbol, uncompromising and unwavering; an enigma surrounds him till the very end, but, in the movie, he is portrayed as a self-righteous vigilante, someone blinded by hate, and thus vulnerable to reconsideration. What happens in the end is quite similar in both the movie as well as the comic but their causes are completely different. The comic depicts it as a part of V’s plan, but the movie suggests that it was because of V’s realization of the falsity of his ideals. What you like is yours to choose. 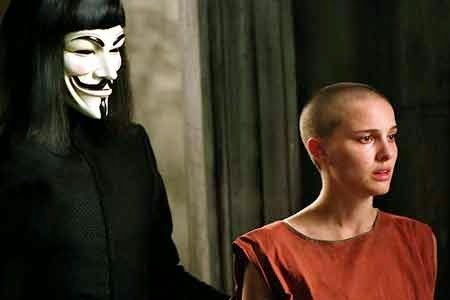 But, as a conclusion, I would say that you need a psychological-thriller-hardened brain to go through the original “V for Vendetta” graphic novel, but if you have gone straight for the movie, there is nothing to regret. If, however, you have done none of the above, well, what are you waiting for? Go grab yourself a copy of the film! 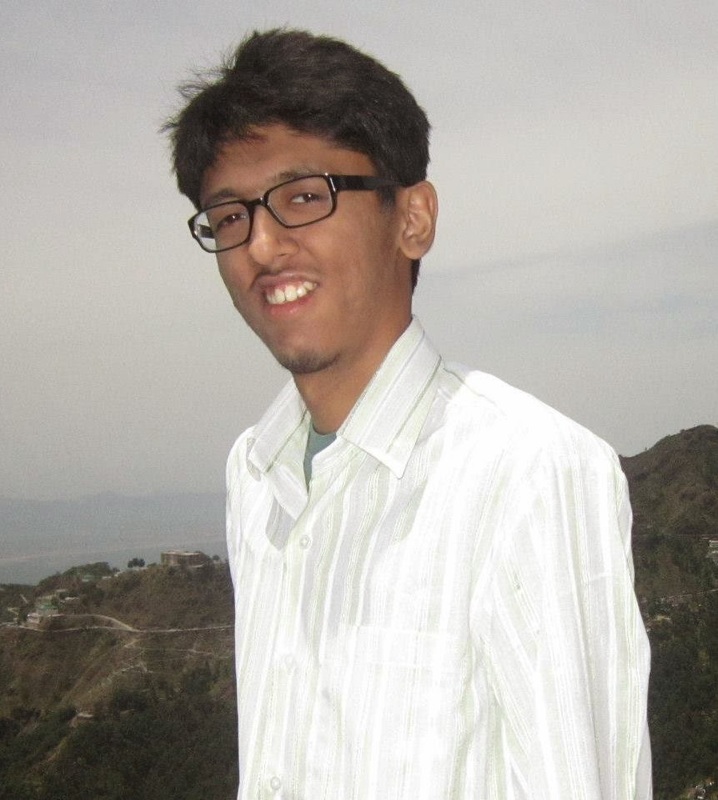 Nikhil Gupta is a Delhi-based BCA student who, in his own words, has natural flair for writing elaborate movie reviews. His passion stems from his ability to notice the things that make people notice something. Although Nikhil loves to write about different things, right from movies to games to books, he is best known among his friends as a budding musician who is a fan of everything that is related to '90s (mostly Nirvana). His dream is to be, well, a lot of things, but is driven by his only mantra in life: "The only thing that we need to change about this world is ourselves". The views expressed are personal.